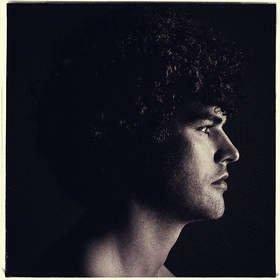 NEW YORK, NY--(Marketwired - Sep 9, 2015) - Australian singer-songwriter Vance Joy today announced his return to North America in 2016 with the 'fire and the flood' tour. The first headline run for Vance Joy since his 2015 global main support slot for Taylor Swift will start in Vancouver on January 13, 2016, first touching down in the U.S. on January 20 in Minneapolis, and wrapping in Boston on April 1. The tour will see Vance Joy perform a full headline set in clubs, theatres, and arenas across the continent, including some of North America's most iconic venues, including Nashville's Ryman Auditorium and New York City's Beacon Theatre. The tour celebrates Vance Joy's powerful new single, 'fire and the flood,' featured on the recently released special edition of his breakthrough 2014 debut album, dream your life away. In the U.S., the single was the #1 most added song at triple A and alternative radio formats, with early adds at KROQ and Sirius XM's Alt Nation among others. Vance Joy will perform the song live on NBC's "Today" on October 15. The companion video to 'fire and the flood' is quickly approaching 1 million views on YouTube and can be seen here: https://youtu.be/zKmWd8DPrEc. In his native Australia, 'fire and the flood' was the #1 most added song at radio upon its release. This week it is the #1 most played and has already been certified gold. The song has claimed a #6 spot on the Australian ARIA charts, matching his breakthrough hit "Riptide." Today's tour announcement arrives with a new behind-the-scenes video set to 'fire and the flood' that gives fans a peak into Vance Joy's life on the road. The video can be viewed now at Vance Joy's official YouTube channel, https://youtu.be/Zzd9mo8HCq0. Along for the ride are various hand-selected guests. January 13 - February 11 Calgary's Reuben & the Dark will join the tour. Reuben and the Dark is a collection of instrumentalists and vocalists who make chilling emotive folk and soul driven by dark, introspective lyrics that explore the duality of misery and joy. Fearless songstress Elle King will join the tour February 17-March 12. King's debut album, "LOVE STUFF," marks the arrival of the young singer/songwriter/guitarist/banjoist as a pop force to be reckoned with. Seeing out the tour will be Portland's Blind Pilot, whose sophomore album, "WE ARE THE TIDE," followed the band's grassroots break-out 2008 debut, "3 Rounds and a Sound." The band is busy recording a new album, due out in 2016. Opening all shows from February 17 to April 1 is British singer-songwriter Jamie Lawson, the first signing by Ed Sheeran to the global superstar's newly launched record label. Lawson's self-titled album arrives on October 9. Sign up to the Vance Joy mailing list now for access to Vance Joy pre sales & tour updates.